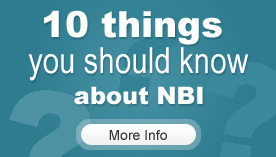 The NBI® was developed after almost 30 years of extensive international research on left and right-brain functions. The instruments were developed by Dr. Kobus Neethling, under the research guidance of Professor Paul Torrance of the University of Georgia. The Neethling Brain Instruments (NBI®) is a revolutionary battery of instruments that strives to develop 4 and 8 dimensional thinking in individuals. These assessment tools will help you develop strategies to sustain creativity and positive thinking in your personal and professional life. You will also be able to identify the essence of your problems and apply creative solutions immediately. 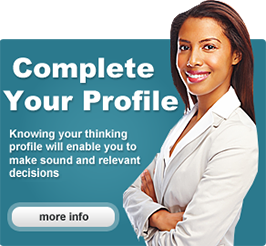 It is a 30 or 15 question diagnostic survey that indicates your personal thinking preferences and skills. These preferences influence the way you communicate, make decisions, solve problems and manage those around you. The products, offerings, content and materials (including, without limitation, the Fee-Based products) on this website are provided “as is” and without warranties of any kind, either express or implied. Solutionsfinding (Pty) Ltd disclaims all warranties, express or implied, including but not limited to warranties of title or implied warranties of merchantability, fitness for a particular purpose, title, security, accuracy or non-infringement. Solutionsfinding (Pty) Ltd does not conduct criminal background checks on its members. Neither Solutionsfinding (Pty) Ltd, any of our affiliates, nor any of our or their respective licensors, licensees, service providers or suppliers warrant that this website or any function contained in this website will be uninterrupted or error-free, that defects will be corrected, or that this website or the servers that make this website available are free of viruses or other harmful components. Neither Solutionsfinding (Pty) Ltd, any of our affiliates, nor any of our or their respective licensors, licensees, service providers or suppliers warrant or make any representations regarding the use or the results of the use of the products, offerings, content and materials (including, without limitation, the fee-based products) in this website in terms of their correctness, accuracy, reliability, or otherwise. Further, please note that no advice or information, obtained by you from our personnel or through this website shall create any warranty not expressly provided for in this agreement. By using this Site, you represent and warrant that you have the right, authority, and capacity to enter into this Agreement and to abide by all of the Terms & Conditions of this Agreement. Children under 10 are not permitted to use this website. 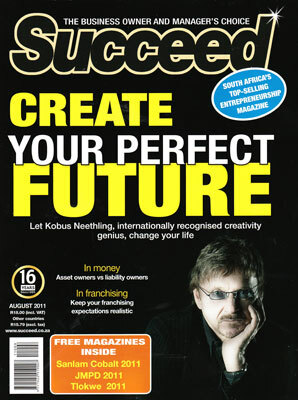 The content included on this website, including, but not limited to the Solutionsfinding (Pty) Ltd tests, reports, text, graphics, logos, icons, and images is the exclusive property of Solutionsfinding (Pty) Ltd. All trademarks, service marks, and trade names are proprietary to Solutionsfinding (Pty) Ltd. The Solutionsfinding (Pty) Ltd website contains copyrighted material, including, but not limited to: trademarks and other proprietary information, content, text, and graphics. Except as otherwise expressly permitted under copyright law, users may not copy, publish, redistribute, modify, transmit, display, sell, create derivative works, or in any way exploit the content or any portion of the Solutionsfinding (Pty) Ltd website without the express permission of the organization. (f) any other matter relating to this website. In no event shall our total liability to you for all damages, losses, and causes of action (whether in contract, tort (including, but not limited to, negligence), or otherwise) exceed the amount paid by you, if any, for accessing this website. If you are dissatisfied with any portion of our website, or with any of provision of this agreement, your sole and exclusive remedy is the discontinuation of your use of this website. All questions relating to this website’s validity, interpretations, performance and enforcement, including the Terms & Conditions, shall be governed by and construed in accordance with the law. Solutionsfinding (Pty) Ltd will not be responsible or liable to you for any delay or failure to perform under these Terms & Conditions if such delay or failure results from fire, explosion, labor dispute, earthquake, casualty or accident, lack or failure of transportation facilities and/or services, lack or failure of telecommunications facilities and/or services including Internet services, epidemic, flood, drought, or by reason of war, civil commotion, blockade or embargo, act of God, any inability to obtain any requisite license, permit or authorization, or by reason of any law, proclamation, regulation, ordinance, demand or requirement of any government or by reason of any other cause whatsoever, whether similar or dissimilar to those enumerated, beyond the reasonable control of Solutionsfinding (Pty) Ltd.
Solutionsfinding (Pty) Ltd endeavours to offer you competitive prices on current products; you’re total order price will include the price of the purchase plus VAT (Value added tax). Solutionsfinding (Pty) Ltd reserves the right to change pricing at any time without prior notice. One of the most widely used ways of sending money online. Once you have added enough items to your shopping cart, proceed to “Checkout” and follow the order processing instructions. Select the option to pay via EFT. You will then have to load Solutionsfinding (Pty) Ltd as a beneficiary on your internet banking and use the unique order number in the reference line for your payment. This should ensure speedy processing and delivery of your selected products. You may pay for your products through a direct deposit. It’s exactly the same as doing an EFT payment, except you’ll have to go into your bank and physically make your direct deposit there. Use the same banking details as above. Please fax through your deposit slip to us on Fax: +27 12 460 1322 or email to info@solutionsfinding.com to ensure your payment is confirmed and order shipped as quickly as possible. Once a NBI® assessment was successfully completed and the report electronically delivered, you cannot cancel your purchase. If the process was interrupted and you did not receive the report electronically, you must advise us in writing of the problem and we will help you to complete the process. If you at that point want to cancel the purchase, you must advise us in writing of your cancellation request and any such cancellation must be signed by the person who made the original purchase. Solutionsfinding (Pty) Ltd uses Virtual Card Services for the secureauthorisation of credit card transactions over the Internet. Virtual Card Services process all credit card transactions using 128 bit Secure Socket Layers (SSL) encryption. The company registration documents and the site’s registered domain name are checked and verified by Thawte, ensuring the cardholder and merchant that nobody can impersonate VCS to obtain confidential information. Solutionsfinding (Pty) Ltd does not have access to credit details. I understand that all the designs and trademarks are registered to Solutionsfinding (Pty) Ltd or KobusNeethling and hereby accept the terms and conditions. I undertake not to copy/duplicate the trademarks and designs directly or indirectly in anyway and understand the legal implications thereof. Should I be found to be in violation of this agreement I understand that I will be held liable for all legal costs incurred by Solutionsfinding (Pty) Ltd for any civil action or any legal action deemed necessary against me. IMPORTANT: These Terms & Conditions of Service for Solutionsfinding Pty Ltd (“Agreement”) is a legal agreement between you and Solutionsfinding Pty Ltd. By initiating a purchase or otherwise using or accepting the Services, you agree to be bound by the terms of this Agreement. If you do not agree to the Terms of this Agreement, do not purchase or use these Services. You agree that your use of the services acknowledges that you have read this Agreement, understand it, and agree to be bound by its Terms and Conditions.